The WPSL, second tier of the women’s game in the USA and mainly a developmental league boasting some of the top collegiate talent in North America, will be live streamed on mycujoo for the next three years. Let us present you this League of talents and promises. The Women’s Premier Soccer League, better known as the WPSL, represents the second tier of the women’s game in the USA (and Canada and Puerto Rico too), roughly on a par with United Women’s Soccer (UWS) and a tier below the top-flight NWSL (National Women’s Soccer League). 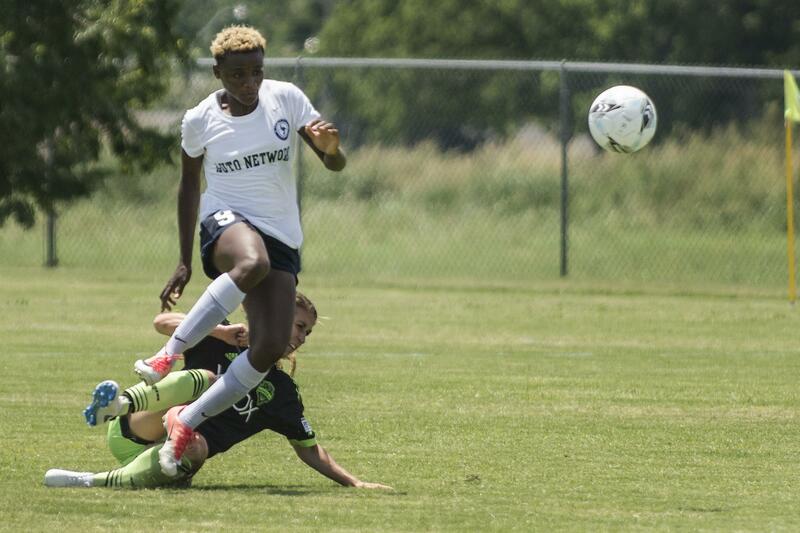 Largely a developmental league, played through the summer months from May to July, the WPSL boasts some of the top collegiate talent in North America and is the largest women’s soccer league in the world. The WPSL began life as the Western Conference of the regional – and now defunct – USL W-League before breaking away and forming its own league in 1997. The WPSL, sanctioned by the United States Adult Soccer Association (USASA), has seen steady growth from those early, wobbly days and is currently entering its 22nd season, making it the oldest operating women's league in the United States. "When you watch the WPSL you’re watching the top amateur women’s players in the USA compete at a very high-level," said Brad Lund, Vice President of Operations for the league. "The vast majority of our players are active collegiate players from the top NCAA programs in America. Some will be future national team players either for the United States or their respective countries." Growing all the time, the WPSL will be comprised of at least 110 teams ahead of the 2019 season, making it the largest women’s soccer league in the world by quite a healthy margin. It is also a feeder for the top-division teams of the NWSL and brings the women’s game to 40 of the 43 largest metropolitan areas in the United States (with 33 of the country’s 50 states represented). Los Angeles leads all metropolitan areas with eight clubs followed by San Francisco, New York City and Philadelphia (four clubs each) and Charlotte, San Diego, Houston, Seattle and Portland, Oregon (three clubs each). The teams are divided into four geographical Regions and 17 Conferences within those regions. The top performers meet in post-season play-offs eventually culminating in a national championship every July. Sacramento-based California Storm lead the all-time toppers list with three national titles (1999, 2002 and 2004), the latest in their line of championships coming with the help (and goals) of Laura Schott, who is currently Development Academy Director at the Portland Thorns of the NWSL. The reigning WPSL champions are Seattle Sounders Women, who are affiliated with the Major League Soccer (MLS) club of the same name. They joined the WPSL in 2015 after the USL W-League ceased operations. Founded in 2001, the club has been dedicated to producing top women’s players in the Pacific Northwest – a women’s soccer hotbed – and can claim among their alumna such leading lights and international shining stars as Alex Morgan, Hope Solo, Megan Rapinoe, and Sydney Leroux – to name just a few. In 2018, the Sounders went undefeated through their regular season games and finished with a +22 goal difference before beating Pensacola FC in the national final under scorching conditions in Norman, Oklahoma. Heading into the league's 2019 season, Seattle will again be among the favorites in their Northwest Conference, along with traditional powerhouses OSA FC and TSS Rovers. In the strong North Conference, Chicago Red Stars Reserves and Fire SC 98 will once again be the teams to watch, with Dakota Fusion FC keen to improve on their 2018 record of zero wins, nine losses and one draw. Fire and Ice SC will once more be the pace-setters in the Heartland Conference with the Des Moines Menace Women’s side, out of Iowa, eager to build on their second-place finish last year. FC Dallas (affiliated with their MLS namesakes) were undefeated in the last regular season in the Southwest Conference with Oklahoma City FC finishing just behind. TTI: Bluebonnets again look to rule the roost in the South Texas Conference while the Washington Spirit Reserves are likely to be the team to beat in the East Region’s Colonial Conference. Also looking to improve on recent successes out East are: SUSA FC and NY Athletic Club in the Metropolitan Conference and Penn Fusion and Torch FC in the Mid-Atlantic. In the South Region, Carolina Rapids and Ashville City will be the teams to watch, while Tampa Bay Lions and Florida Gulf Coast Dutch Lions went neck-and-neck in Florida’s Sunshine Conference. Chattanooga FC and Pensacola FC are safe bets for long runs in the upcoming season too, as are Fresno FC Ladies out West, San Francisco’s Nighthawks and Utah’s Red Devils. There’s no telling how things will shake out, especially with a high squad turnaround each year in the WPSL. But you can follow all the action on mycujoo – who recently signed a deal with WPSL to broadcast the league’s games for the next three years.